A class project at Waverly Belmont Elementary in Nashville, Tennessee, has created an internet sensation. Kindergarten students took turns broadcasting the weather for the month of March. Videos were recorded and posted on YouTube each day of the month. Carden Corts knocked the weather forecast into the next galaxy. Carden’s broadcast aired on March 21, 2018. Let’s take a look at today’s weather in Nashville using our new weather simulator. All I have to do is click this button. The first click of Carden’s button instantly transports him into the middle of a hurricane. The winds are blowing. The rain is flying. His voice becomes frenzied. You really “feel” him there in the middle of the storm. The video continues, transporting Carden through each of the seasons that can be experienced in the Midwest during this first week of spring. Known as a “four easter” because of the volatility and unpredictability, rapid weather changes are a common occurrence in that area of the country. I work at Rated Red, a design studio in Nashville, and we have a green screen video in our office so when I saw this assignment I felt like I had been waiting my whole life for this. No seriously, I thought it was something we could have fun with. Yesterday was the first day of spring and you know what that means. Spring break! The scene cuts to dancers on a beach and Carden joins them with some great dance moves of his own before cutting to his sign-off script. The video on YouTube currently has almost 1.5 million views since Wednesday. It was the number 6 trending video on Friday morning. During the interview with the Tennessean, Charlie stated that the visual effect of the hurricane force wind was produced using a leaf blower. What makes it so realistic is Carden’s acting ability. Keep your eyes on that young man — we think you’ll be seeing him again. Since the video went viral, Carden was invited to assist meteorologist Danielle Breezy with a real weather forecast. 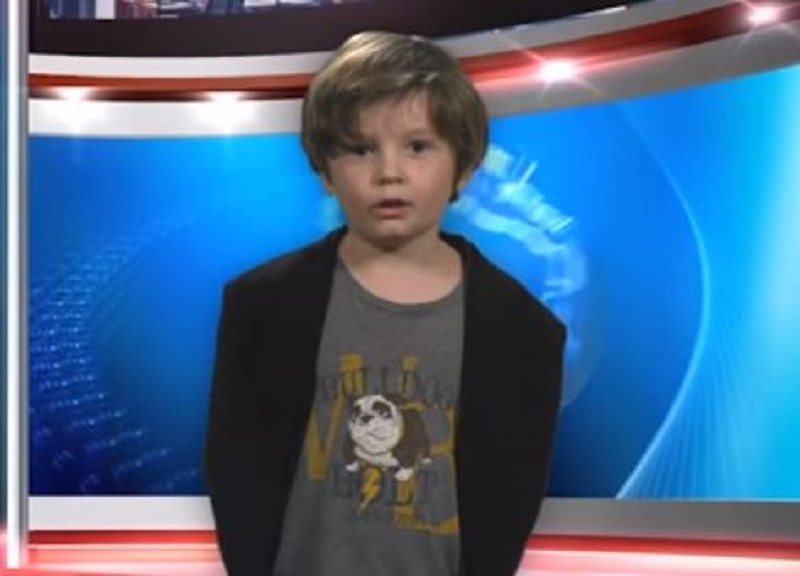 While his real life appearance on WKRN-TV wasn’t quite as fine-tuned as the video that made him famous, Carden did a great job. He showed off more of his dance moves and even taught one of the moves to Danielle.